Also referred to as ‘reading’ or ‘near’ addition, this is the correction required for reading or close-up work. The figure is measured in diopters and is always the same for both eyes. Addition tends to be added to bifocal or multifocal prescriptions in order to accommodate all ranges of focus. SofLens Multifocal are designed to correct presbyopia and to ensure that your daily routine is undisturbed by distorted vision. 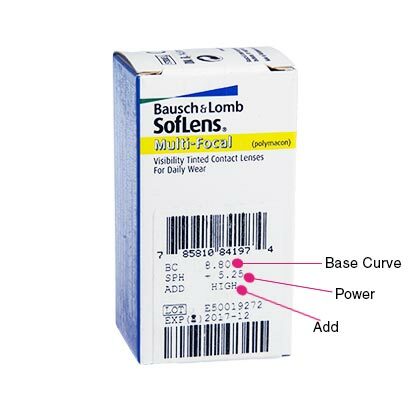 These multifocal contacts provide flawless and smooth transitioning between all visual distances. 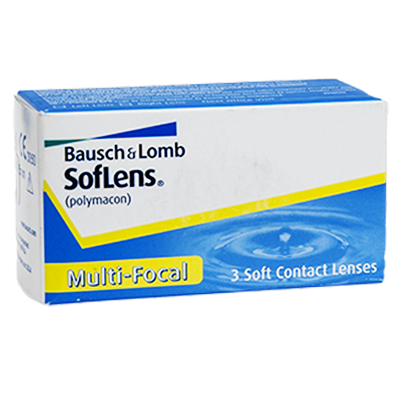 SofLens Multifocal are created by Bausch & Lomb, and are exceptional lenses that offer a comfortable everyday solution to the issue of presbyopia. Natra-Sight Optics is used for smooth transitions between short and long distances. This unique technology ensures sharp and undistorted vision. SofLens Multifocal contact lenses have a water content of 39%, keeping the lenses hydrated all day long and preventing them from drying up. The patented edge design adds to the comfort, meaning there’ll even be times you’ll forget you’re wearing contacts. These lenses are also made from deposit-resistant material, which means the risk of irritation and infection is minimal. 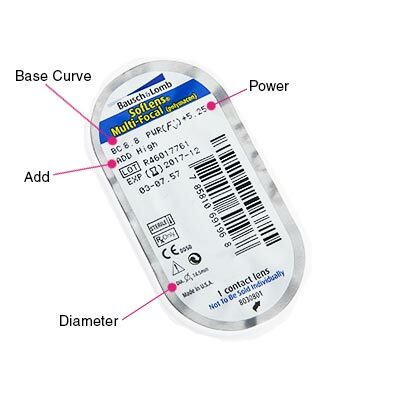 These are monthly contact lenses that require removal each night, as well as to be cleaned and stored using a solution. We recommend Multisol Plus Lens Solution for keeping your lenses clean and ensuring your eyes stay fresh and hygienic every time you wear these multifocal lenses.